Should You Let Your Cutten Renters Hang Christmas Lights? 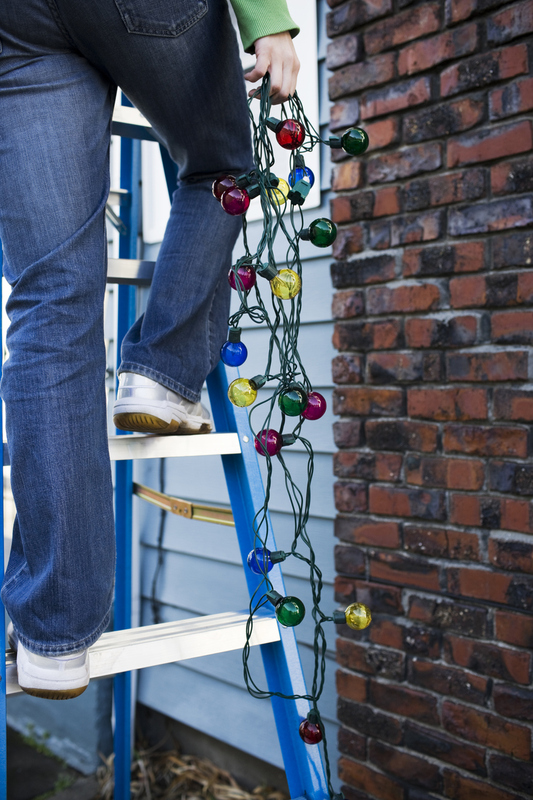 Tis the Season: Should You Let Your Cutten Renters Hang Christmas Lights? Christmas is an exciting time for many because they can decorate their homes with festive decor. This is a time-honored tradition for renters and homeowners alike. Many tenants want to adorn their eaves and windows with strings of lights, adding a cheerful twinkle to long winter nights. However, hanging Christmas lights on a house is more demanding and hazardous than putting up other types of holiday decorations. You can also never quite be sure what the end result will be, as everyone has different concepts of what is considered a tasteful holiday display. For more than a single reason, landlords and Cutten property owners should rethink letting their renters hang Christmas lights on their own. As claimed by the U.S. Consumer Product Safety Commission, there are more than 1,000 serious injuries produced by hanging Christmas decorations each year. Falls, electrical shocks, cuts, and abrasions dangerous enough to send people to the emergency room are merely a few of the possible perils of hanging lights. Another liability risk involves designs that go against the regulations of Common Interest Communities (commonly known as Homeowner Associations) and other local governances. A CIC, in particular, may indicate the kinds of Christmas decorations and how many of these decorations are authorized for use. This limits what the choices and styles one may have in mind for the holidays. On top of that, some CICs also have strict rules about how long the decorations may be displayed. If your tenant violates CIC regulations, you may find yourself on the hook for fines, disciplinary action, or other unwanted consequences. Observing the CIC rules to be in compliance with them may require prohibiting renters from hanging their own Christmas lights in your property. While no one desires to be a holiday grinch, allowing tenants to do their own Christmas decorating can bring in liability. This is not something that property owners can afford to leave to chance. Therefore, it is significantly important to talk about and give a quick rundown of sensible holiday decorating guidelines with your tenants. It’s crucial to monitor your properties carefully, no matter the season. This is a service that is an essential part of the Real Property Management Humboldt move towards property management. Our expert property managers are aware of the value of completing regular property evaluations and taking care of your tenant’s safety in adherence to their lease. If you’re interested to know more, don’t hesitate to contact us online or call us at 707-444-3835 today.